Gravitation and Relativity generalizes Isaac Newton’s theory of gravitation using the elementary tools of Albert Einstein’s special relativity. Topics covered include gravitational waves, martian electrodynamics, relativistic gravitational fields and gravitational forces, the distortion of reference frames, and the precession of the perihelion of Mercury. Black holes and the geometry of spacetime also receive consideration. 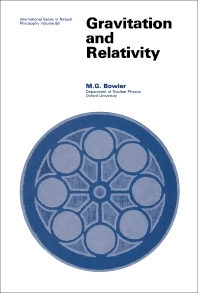 This book is comprised of 10 chapters; the first of which briefly reviews special relativity, with the emphasis on the Lorentz covariance of the equations of physics. This topic is then followed by a short discussion on accelerations in the framework of special relativity. Two problems related to the gravitational deflection of light and how to detect a gravitational acceleration by observations within a freely falling laboratory are discussed in this book. The chapters that follow focus on the Eötvös-Dicke experiments that established the identity of inertial and gravitational mass; the equations of electrodynamics and electrostatics; force laws and equations of motion; and the precession of the perihelion of Mercury. The reader is also introduced to the nature of gravitational radiation; its generation and detection; and the relation between the metric tensor and gravitational potentials. The book concludes with a chapter on black holes and how they may manifest themselves to the astronomer. This monograph will appeal not only to professional physicists but also to undergraduates in physics who want to know a great deal about gravitation and relativity.